A burglar who stole a 91-year-old’s wallet from his living room was caught by two quick-thinking mechanics after they recognised him from CCTV. Andrea Amore, 25, followed the pensioner back to his home in Little Western Street, Hove, after he had been to the cashpoint round the corner yesterday morning at about 8.30am. The OAP went inside but left his door on the latch as he was expecting a visitor – and Amore seized the chance to follow him inside and grabbed his wallet before fleeing. But when police were called, they asked nearby Blon’s Garage to review their CCTV, which had caught the burglar walking down the street. So when the Blons saw Amore walking along the street later on, they grabbed him and called the police. 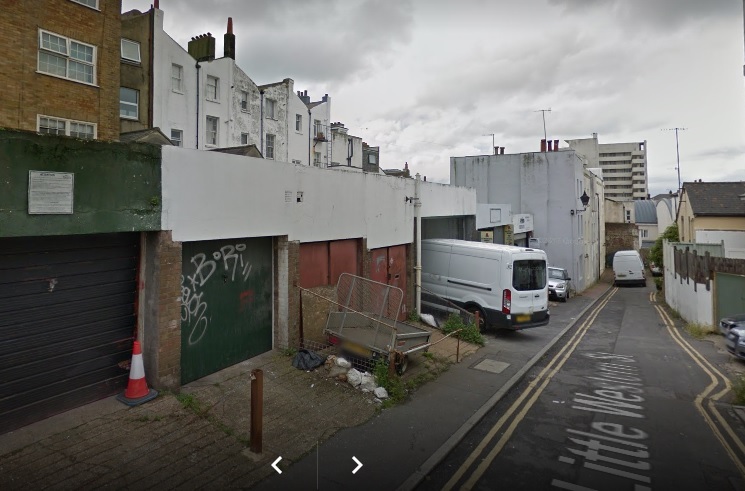 Amore, of no fixed abode, pleaded guilty to burglary this morning at Brighton Magistrates Court and was remanded in custody to await sentencing at crown court. Prosecuting, Martina Sherlock said: “The 91-year-old collected his newspaper and withdrew some cash and as he made his way back towards his address walking down Little Western Street he felt as though someone was walking close behind him. “He turned around and saw a man. “The 91-year-old let the man pass him and carried on to his address. He left his door slightly ajar as he was expecting a visitor and left his wallet containing £40 cash as well as debit and loyalty cards, and £30 cash he had just withdrawn on his dining table. After Amore had fled, his victim called the police, who after taking a statement spotted a CCTV camera at Blon’s Garage, and when they watched it, the burglar had been caught walking along the road. Jean Blon, who runs the motorcycle garage with his father, also Jean, said: “When we arrived to open up the police were here and asked to see the CCTV footage. I recognised the guy, and about two hours later he came back and I saw him from the garage. “I hauled him here and said now you’re going to wait for the police. He just came and just said nothing. and cash in, as well as an Italian ID card and bank cards in Amore’s name. However, a theatre ticket, a car insurance certificate and loyalty cards were missing.